Inspired by this tweet thread I wrote. Fandom really doesn’t like to acknowledge that it has multiple problems with race and racism. 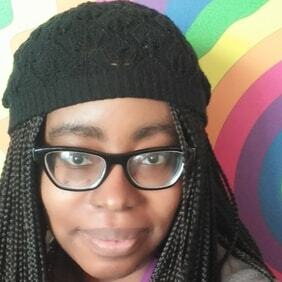 From members of fandom writing racist alternate universe stories where characters of color are dehumanized, tortured and killed off (as a form of “putting them in their place”) to the harassment that fans direct at fans and performers of color, there’s no way to escape the fact that fandom – transformative and curatorial fandom spaces– is racist as hell. Basically, that’s one of the most useless responses you can give a person talking about something currently impeding their ability to enjoy their free time and security in fandom. I made a whole tweet thread about how tiring the mentality of “real fans wouldn’t harass people” is back when Loan Tran left social media following racialized misogyny from Star Wars fans. (Multiple tweet threads, actually.) Because all of the people rushing to shout out how much they loved her as Rose Tico kept pinging back to one constant: that “real Star Wars fans” wouldn’t dislike her character or harass her because “real Star Wars fans” don’t harass people. First of all, “real Star Wars fans” have been harassing people longer than I’ve been alive. They’ve been harassing the cast and crew as well as fellow fans that don’t do what they want/like what they like for decades. They’re doing it right now. There will probably still be real Star Wars fans harassing folks two hundred years from now, battling for nerd dominance on pontoons as the majority of the world will probably be overheated and half underwater by then. Second of all, when you decide that folks behaving badly in a fandom aren’t actually part of the fandom, you diminish their behavior and derail commentary on said behavior. The folks who are out there making videos where they cut the heads off of Rose Tico figures and/or harass fans and performers of color on various platforms are real Star Wars fans. Deciding that someone acting badly and bigoted isn’t part of fandom, isn’t part of your fandom, is basically super unhelpful. Instead of doing something to combat the presence of harmful ideologies and behavior in fandom, declaring that fans who harass others aren’t part of your fandom does nothing to address the fact that your fandom is to some extent a safe space for these people and their behaviors. And the thing is that it’s never just one racist calling Black fans the n-word or harassing female performers of color or hiding their racist views behind “it’s just fandom/fiction”. It’s always a ton of them. They’re in your shippy discord servers. They’re the BNFs you share content from. The #NotAllFans approach isn’t just unhelpful, it’s an attempt at silencing complaints from fans of color. If you can get that #NotAllMen is a derailment that doesn’t address the underlying problems with toxic masculinity – and if you can’t get that… this whole post isn’t going to work for you – you should be able to understand that the #NotAllFans approach to fans of color as they talk about the racism they experience and witness from fandom is a derailment along similar lines. I get why many people don’t say something to the person doing the racist thing – many people are afraid of being shunned by their social group or getting slapped with the same harassment that they’re calling out. I also know that it’s scary to reach out to fans of color who are on edge from harassment and be like “hey, what can I do”. Especially if, as part of the fanbase they’re being harassed by, they or their friends might already have you blocked or might respond to you with sharpness. But if your goal is to be an ally – and I can’t count how many people I’ve blocked for racist nonsense in various fandoms who’ve had Black Lives Matter hashtagged in their bios or on their pages – you need to develop a personal framework for how you’re going to handle dealing with racism in fandom. You don’t need to share it publically or swear a vow over a candlelit portrait of your parents, but you need to be doing something other than derailing to let fans of color know that “there are good fans of x” out there. Because actions speak louder than those kinds of tweets. And step one for your framework? Well, it should be focused on you tamping down on the urge to interject and deflect when you see a fan of color talking about how a fandom you’re in or the fandom for a ship you like is racist. Generally, fans of color know that not every single fan of a thing is a racist. However, the time for you to remind us of that probably shouldn’t be when we’re talking about fans of the thing who are. This entry was posted in What Fandom Racism Looks Like and tagged derailing, fandom racism, star wars: the last jedi, What Fandom Racism Looks Like. Bookmark the permalink.